The “cigar economy” is much more than supply and demand. We already know there are unique forces in tobacco cultivation that drive up cost, process, labor, and specialized equipment among them. But what else? I tapped the expertise of Larry Palombo, former Altadis USA vice president of tobacco and a veteran with over 45 years’ experience in the premium tobacco business, to help understand tobacco valuations. “Wrapper tobaccos are, far and away, the most costly component of a premium cigar,” Larry tells me. Grown under shade cloth in Connecticut, Nicaragua and Indonesia, wrapper-grade leaf is expected to be visually appealing, consistent and without defects; the process to reach top grade is slow, labor-intensive, and expensive. In the case of Connecticut shade, it is only used for wrapper – and cultivated using specific methods to hit that top grade target. Manufacturers expect to pay somewhere between USD 25 to 45 per pound [0.45 kg] for their wrappers. Depending on how thick the wrapper is, they can expect to use between 6 and 10 pounds [2.7 to 4.5 kg] per 1,000 cigars. LOCATION – The sun-grown leaves cultivated in Africa are superb, but simply hauling genuine Cameroon tobacco to market from the country’s remote farms is a costly challenge. 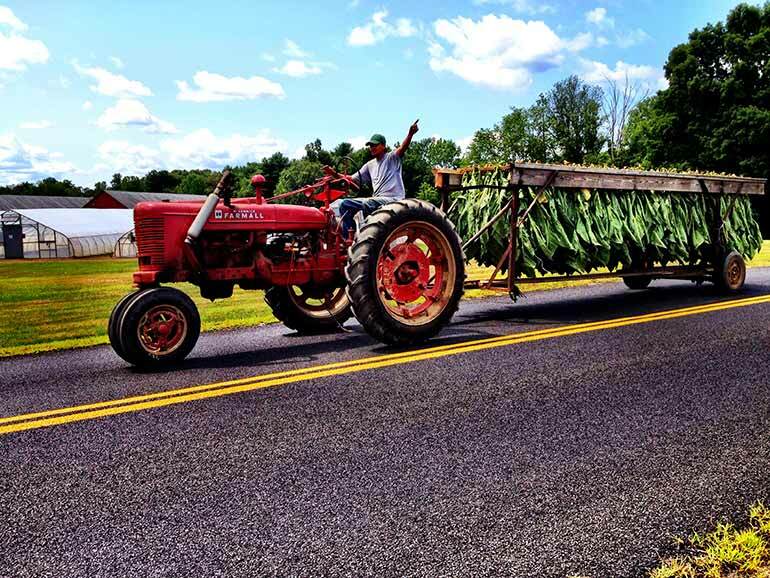 YIELD – “Although the purchase price of tobacco from farmers is not high, processing costs and poor yields make Connecticut broadleaf one of the most expensive tobaccos used in the manufacture of premium cigars,” says Larry. DEMAND – It’s big for the high primings of Ecuador Habano, especially the Cuban seed variety. It’s strong, tough and spicy – and very popular. SOURCING – There are two ways to buy tobacco: make the arrangements to purchase what you want, which is more expensive. Or, you can finance a farm a year ahead, then take what you want from the harvest. The farmer will sell the remainder to another tabacalera. TIME – Your cigars may be blended with great tobaccos, but your investment can sit mid-process for years before it’s smoked. At Drew Estate, Liga Privada tobacco ferments in pilons for 18 months or longer, tying up USD 250,000 to 400,000 worth of leaf. Holes and breakage drastically reduce the value of any tobacco; but because the grower is trying to get only wrapper-quality leaves out of a shade plant, any damage – natural or man-made – is fatal to a leaf’s future prospects. 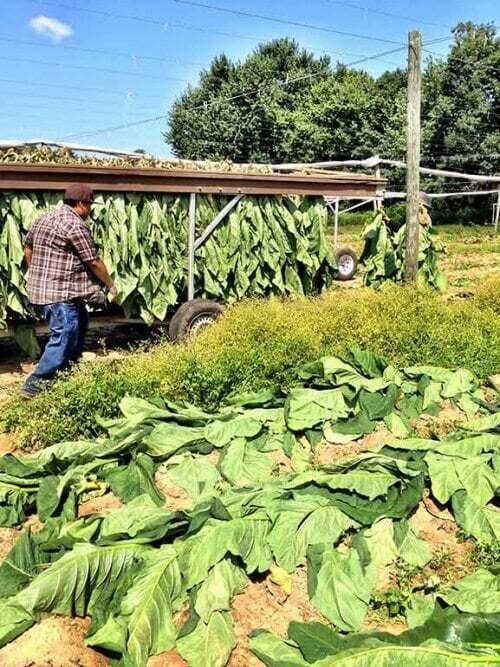 Noticeably damaged wrapper tobacco is simply dropped in the field: “It makes no financial sense to put this tobacco through curing, fermentation and sorting,” I’m told. A six-to-seven pound yield of Connecticut shade can produce 1,000 cigars. But about 20 pounds [approx. 9 kg] of good broadleaf wrapper is needed to produce that same 1,000 cigars – three times more leaf, making it three times more costly. Yes, markets will always dictate prices, and while trends will emerge, preferences evolve and avors fall in and out of fashion, these are the costs that growers must endure to provide us with the cigars we love.